Over the course of running Selecting A Diamond I have had many questions sent in to me. 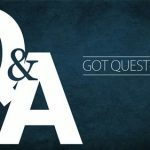 The following is a list of some of the most popular questions and the answers I usually provide. Of course many cases are different and so, please drop me a note and let me know what you are looking for and I will be happy to help out. Is an SI1 diamond eye clean? It depends. There is a very good chance that an SI1 diamond will be eye clean but not guaranteed. An eye clean SI1 can be a great value and much less expensive then a VS1. If looking at an SI1 please contact me and I will evaluate for you. For more information see my SI1 diamond clarity page. If everything above an SI1 is clean why should I even look at a VS1? Good question and in most cases you should not! Some shapes, like an Emerald cut, are more likely to show inclusions even at higher clarity grades. For more information and examples see my diamond clarity page and diamond clarity chart. Why are 2 diamonds of the same size with the same color and clarity priced so differently? It all depends on where the inclusions are and what types of imperfections we are talking about. For example if you have an SI1 with a black spot on the table it will be less likely to sell then one with a blemish off to the side that is hardly noticeable. In this case the jeweler will price the 1st diamond lower in order to help move it out of inventory (note: this is why its so important to buy from a vendor like James Allen that lets you see the diamond photos). Can I tell how bad an inclusion is just by looking at the certificate? I would not recommend basing your decision on a certificate – certainly not in the VS2 and lower diamond clarity ranges. Always buy from a vendor like James Allen that lets you see diamond photos online. Using the 10X Virtual loupe on James Allen I see inclusions on a diamond- should I be worried? It really depends on what type of inclusions they are and where they are placed. If you have any questions feel free to contact me and I will take a look at the diamond for you and give you my opinion. 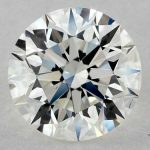 Should I spend more on higher diamond clarity or higher diamond color? Please read my guide to the 4Cs for my philosophy on diamond buying. As a general rule I recommend H color and SI1 clarity as the best bang for the buck! That is not say there are not cases where I will recommend higher or lower clarity and color. In most cases its best to ask me– I usually respond within 24 hours. Is there a difference between the types of inclusions on a diamond? Yes. I will be writing a whole page on this subject this month so stay tuned for more info. I found a diamond that I hardly see any inclusions on but it still has an SI1 grade, why? Chances are there are a few blemishes in different places and added up they get an SI1 grading. Take a look at my diamond clarity page to understand how labs assign a diamond clarity grade. Is an EGL clarity grade the same as a GIA diamond clarity grade? No. EGL is known in the industry to have much looser standards. A diamond graded with an VS2 clarity by EGL may very well only get an SI1 or even SI2 by GIA. In general this is why EGL diamonds are so much cheaper. I never recommend getting an EGL. Please read my EGL vs. GIA page for more details. What is an SI3 clarity grade? SI3 is a clarity grade invented by EGL in attempt to keep prices up on lower quality diamonds by keeping the stones out of the I category. Don’t buy an SI3 diamond. I have seen many diamond clarity charts on the web and no 2 look the same. Why? The GIA does not have a single chart they use to measure clarity. All the charts you see around the Internet are created by vendors as illustrations of what you may expect. I have found that in attempt to upsell higher clarity these charts are almost always exaggerated. On my diamond clarity chart I show you real photos (not illustrations) in an effort to show you what you can expect from the various grades. I am buying diamonds for diamond stud earrings – are there different things I need to know? Yes. I will be writing a full page diamond stud earring page shortly as a general tip you can usually get away with a lower clarity and color grade for studs. 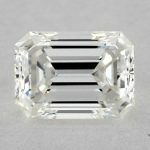 Will a near-colorless diamond look yellow? No. Diamonds graded with a G, H, I will almost always be indistinguishable from a higher priced D, E or F color unless the 2 diamonds are being held up side by side under proper lighting. I usually recommend going with an H color. Read my diamond color page for a more in depth answer. Why is the price between G and H colors so high? There is no logical reason. The 2 diamonds are almost identical in color and it seems to be a somewhat arbitrary decision. I usually recommend going with an H color when possible to avoid this unnecessary cost. Read my diamond color page for a more in depth answer. Can I buy an I color diamond or will it be to yellow? I have seen many I color diamonds that are fine but others I would stay away from. It’s really a judgment call. If possible go with an H to be safe. 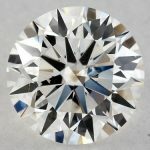 Is diamond color more important then diamond cut? No. Diamond cut is the single most important thing to look at in a diamond. 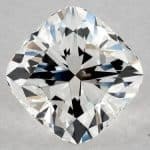 Please read my diamond cut page for more information and to understand why I recommend putting your money into a better cut rather then a higher color or clarity. I read that diamond fluorescence is good for color. Can you explain? In some cases diamond fluorescence can actually seem to enhance diamond color. For more detail please read my diamond fluorescence page. I go through when and when not to care about this. If the more color the worse the diamond why are Yellow diamonds so expensive? I have seen many diamond color charts on the web and no 2 look the same. Why? See my answer above to the same question on diamond clarity charts. See my diamond color chart for a real look at colors! I was told that the ring setting can impact diamond color- what does this mean? If you have a yellow gold setting then no matter what diamond color grade you get you are likely to see some of that yellow reflected in the diamond. If that’s the case why spend the extra money on a high priced colorless diamond? By far round diamonds are the most popular. If in doubt as to what shape to buy go with a round. Are there any shapes I should avoid? Some stepped shaped diamonds, like an Emerald cut, tend to make it easier to see the inclusions and therefore require a higher clarity grade to be eye clean. I also don’t particular care for the heart shape – but this is a matter of taste. I don’t know what diamond shape my fiancé wants. What should I do? Tell her you narrowed it down to 2 shapes (use round and princess cut) and ask her to decide which of those 2 she wants. I have found that she will either say which of those 2 she likes (round most of the time) or say something like “Oh, what about a Cushion cut…” in which case you have your answer! How does a diamond cutter determine what shape to cut? Do I really need to buy a diamond with a certificate? In general, yes. It’s the only way for you to know what you are really buying. That’s said, I wouldn’t buy only based on the certificate. You need to know you can trust the person or site selling you the diamond. Can you explain the difference between EGL vs, GIA? Sure. See my EGL vs. GIA page where I talk about his in detail. See my diamond fluorescence page where I talk about this in detail. 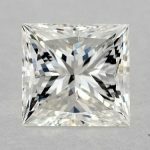 What proportions should I be looking for in a diamond? It depends on the shape of the diamond. I generally recommend trying to stay within Ideal proportions on a round diamond. See my diamond cut page for more detail. 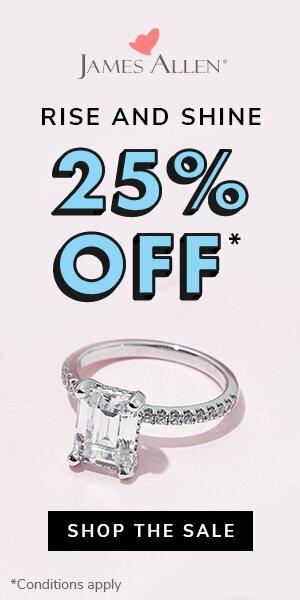 Is it safe to buy a diamond online? It’s as safe from buying from a local Jeweler. In both cases you have to know that the person (or site) you are buying from is legitimate and will only sell you what they say. James Allen is one of the largest online diamond retailers and is 100% trustworthy. I will never recommend a vendor I can’t personally vouch for. Why do you recommend James Allen over Blue Nile? 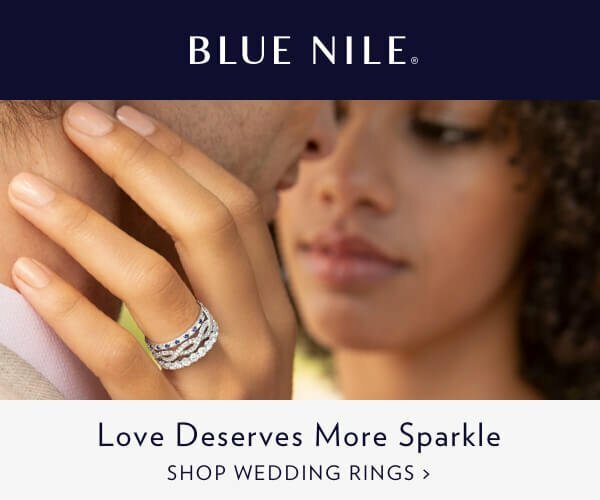 Both Blue Nile and James Allen are very reputable vendors. 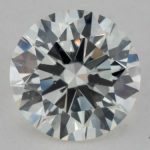 The #1 reason I prefer James Allen in that they provide actual diamond photos online so you can see what you are buying. As I have stated so many times on this site when it comes to diamonds seeing before hand is so crucial. What’s the best time of year to buy a diamond? There is no real best time to buy. You should allow yourself 4-6 weeks for your research and search. As always I am happy to help you in any way. Just drop me a note and tell me what you are looking for. Should I only buy from a jeweler that will upgrade it in a few years? This is a marketing ploy that only a tiny percentage of people ever actually use. I would not count this at all into my buying decision. I am concerned about buying a “blood diamond” what should I do? Buying from a reputable online retailer is the best way to ensure that the diamond you are buying is “conflict free”. As I state in my page about Brilliant Earth, there is no need to buy from a special retailer for this. Any reputable retailer will have a conflict free statement and be able to state that the diamonds they sell comply with the Kimberly process. Here is a link to James Allen conflict free policy. Do you recommend buying an Enhanced Diamond? Generally speaking; No! 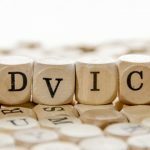 Don’t do this unless you’re really on a very low budget that you can afford any natural diamond, we’ve talked about enhanced diamonds in deep details and covered what methods are used to get the diamonds enhanced, and most of them aren’t permanent.